…because Power Rangers is, at its heart, completely ridiculous. Between the awkward cuts between footage from the original Japanese shows, the terrible acting and monsters of the week that ranged from dumb to disturbing, Mighty Morphin Power Rangers was filled with insanity. 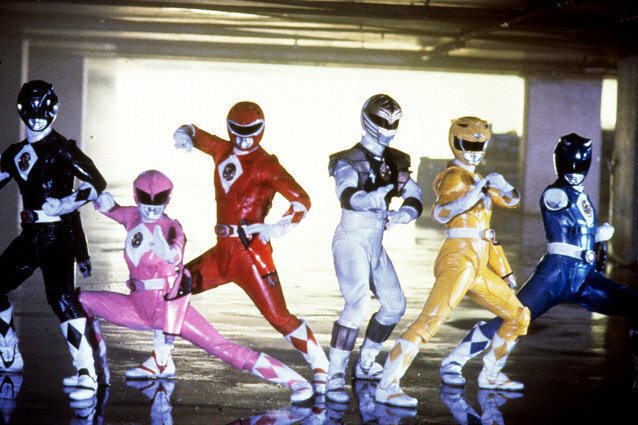 In honor of the movie news, and to prove that the franchise needs to be handled with a great sense of humor, we’ve rounded up 10 of the most insane, nonsensical or just plain stupid moments fromMighty Morphin Power Rangers. Feel free to take notes, Lionsgate. One of Rita’s earliest plans involved using music to manipulate the Rangers, and so she transformed a Garden Gnome into a villain who could hypnotize people using his accordion. What better way to manipulate teenagers than with an instrument they would never listen to played by a terrifying lawn ornament they would never possibly go near? There are so many strange things about this episode: Trini admitting to her high school class that she collects weird dolls, Rita stealing her evil plans from episodes of Are You Afraid of the Dark, Mr. Ticklesneezer suddenly deciding he’s a good guy, Mr. Ticklesneezer himself, the weird dream cop-out ending, and a title that references Hemingway. Every television show needs a big wedding, right? We’re assuming that was the logic behind a three-part episode centered on Rita marrying Zedd in the weirdest, longest, most elaborate intergalactic ceremony of all time. And they didn’t even have the courtesy to invite the Rangers! In the Mighty Morphin Power Rangers Christmas Special, Alpha 5 threw a holiday party for the Rangers, who were busy helping Santa save Christmas, so Zordon teleported a bunch of random kids into Command Central to sing carols with Alpha 5 and cheer him up. Heartwarming in theory, completely messed up in reality. The only thing cooler than giant dinosaur robots that fight alien monsters? Having those dinosaurs appear from an erupting volcano every time the Rangers transform, for no discernable reason other than the fact that the effects guys got a little over-excited one day. The whole Power Rangers series kicked off after Rita Repulsa was freed from a space dumpster by two astronauts, allowing her to terrorize the rangers and attempt to take over the world. That’s right: the most fearsome villain in the universe was found in the trash and it was just readily accepted. Sure, Alpha 5 desperately wants to be a Ranger, but the way to go about that isn’t befriending random a random lost child in the park and then spending the entire episode just hanging out with him. Also, that kid should have been a lot more wary; Stranger Danger rules apply to robots as well. Either Zordon wants his Rangers to coordinate at all times, or the writers knew that the kids watching would be too hopped up on sugary cereal to bother learning the characters’ names. Mighty Morphin Power Rangers had a lot of stupid villains, but the stupidest of them all might have been Pumpkin Rapper, an orange “person” with a giant Jack O’Lantern for a head that spoke in “hip hop” lyrics. This is a villain that appeared in multiple episodes.